Money Procastination is the root of all evil blog posts. I have a draft of a paper due tomorrow. Which, of course, is why I’m writing a post now. I started hearing from people that they are receiving their Orlando postcards from us. I’m not sure why it was so hard to find postcards in a touristy place like Orlando, but I went all over the place and had a hard time finding any that said “Orlando.” Most of what I found was Disney-branded stuff that wasn’t specific to Orlando/Walt Disney World. And it would’ve been a 65 cent postcard with Donald Duck on it or something. Sheesh! This time, I didn’t do postcards until (literally) the night before we left Orlando. 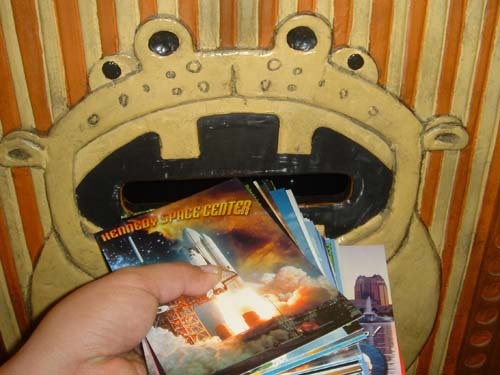 In fact, I fed the hippo dropped the postcards in the mail as we were leaving our hotel room for the airport. Joz puts the postcards into the mailbox at the Animal Kingdom Lodge at Walt Disney World Orlando. I love how the mailbox is a hippo mouth. Tee hee! And between running around Epcot and Disney-MGM Studios and attending a wedding and reception, I was so tired that I didn’t have the energy/time to write real messages on the postcards. So sorry for all the “WHOO HOO ORLANDO!” postcards I sent out. I’m usually not that lame. So, here are some questions to you. 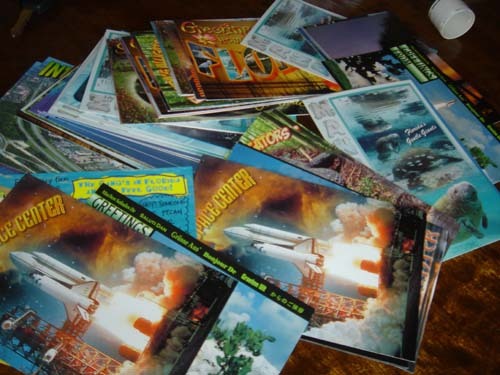 How many postcards do you think I did? Here’s a hint. Here are all of them stacked up. 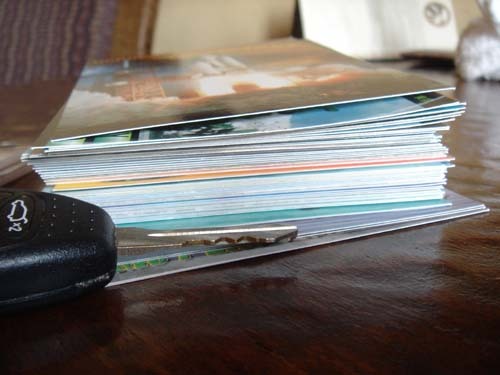 The key to our rental car (a Jeep Liberty) is sitting next to the pile as reference. Did I say something incredibly strange to you in my sleep-deprived state? Have you posted about it on your blog? The jozjozjoz.com archives for Sunday, November 19th, 2006.